Join us at our General ‘Ewe’lection! The countdown to the General Election is on! Getting into the spirit of things is our favourite woolly racers who will be competing against each other in the battle of all battles – it’s the general ‘ewe’lection. 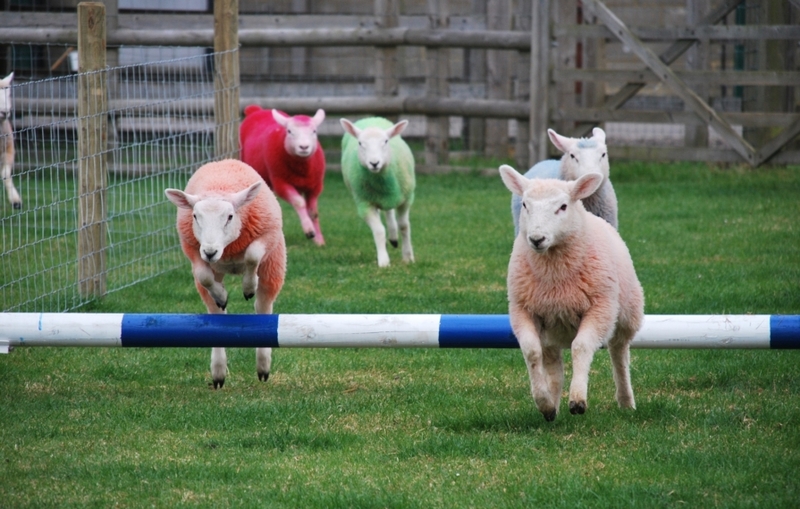 Our sheep will be getting a natural colour touch up as they take on the roles of the four main parties – UKIP, Labour, Liberal Democrats and the Conservatives. They’ll be taking to the tracks to battle out some of the key issues facing the parties. Will they stumble at the first NHS hurdle?! Will immigration be a topic they just can’t jump over?! Could the winner of the race be a prediction for the real thing?! It’s all to play for! The candidates have been training for a number weeks in our daily animal races. They’ve had a lot of support from the general public and of course the Barleylands team! Join us at Barleylands on Friday 26th May at 12pm to find out who wins!